The support you need to help you feel at home. Do you want to improve upon your reading, writing, math, and computer skills? Are you looking to get your grade 12 equivalency? If you are 19 years of age and over, you can participate in our free Learning Services program. Once your literacy level has been assessed, our team will help you set your personal goals for education and employment. We provide a comfortable and supportive learning environment. Literacy Services - Everyone is welcome! The YMCA offers literacy, numeracy and essential skills services to assist you in moving towards your goal of employment, apprenticeship, secondary school credit, post-secondary education or independence. As a participant in our program, you work at your own pace towards employment, education or a personal goal, in a supportive, comfortable learning environment. We will assess your skill levels for free! We offer both daytime and evening classes in our Huntsville location. We provide both one-on-one and classroom support. Are you hoping to get your Grade 12 to get a better job, or to go on to post-secondary education? You have several options! We can help learners prepare for the GED, a test that allows adults who have not completed high school to demonstrate that they have the knowledge and skills comparable to high school completion. 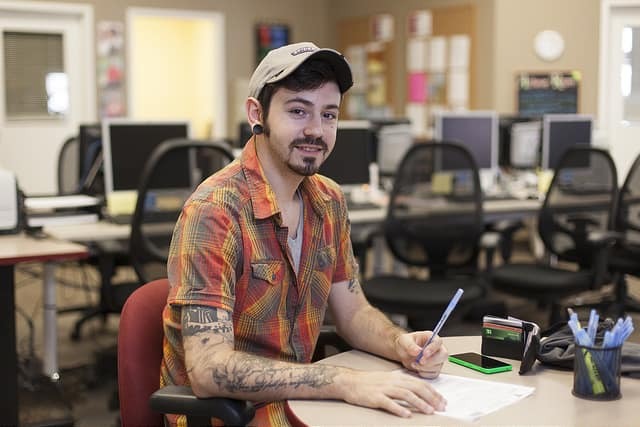 The GED offers a high school equivalency certificate that can be used to move on to college, university or employment. We can help you gain confidence and skills to transition to taking the ACE program through the local college, which will give you your grade 12 equivalency once completed. Going back to school can be tough—we can help you get to the point of being ready to take high school level math and English. Call the Huntsville or Parry Sound office today to find out more and put your name on the list! We teach basic computer knowledge from the parts of the computer, to opening and closing files. An introduction to Microsoft Power Point. Contact the Huntsville or Parry Sound office to get more detailed information on these courses. Newcomers to Muskoka are welcome to take English classes at the YMCA Huntsville location! 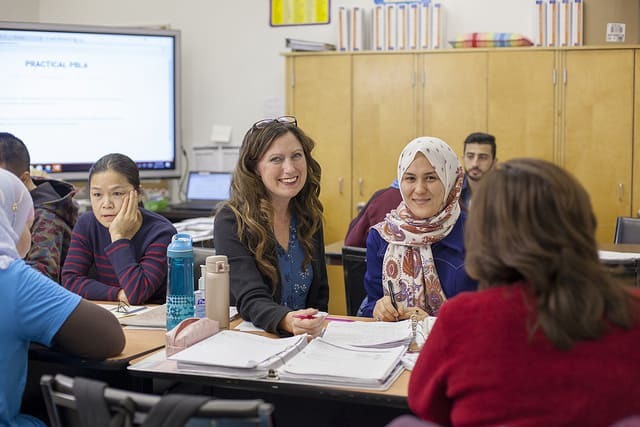 Classes are split between beginner and intermediate levels to ensure newcomers are getting the level of English they need to start at to be able to get comfortable conversing in the community they are now living in. Training happens in a small classroom setting. Classes are ongoing. If you know someone who would benefit from ESL classes, please contact Huntsville Learning Services to find out how we can help!